Drury Brennan is an American multi-disciplinary artist based in Berlin since 2013. He’s worked extensively in music performance and production, photography, ceramics, journalism, cooking, teaching and volunteering, just to name a few skills. 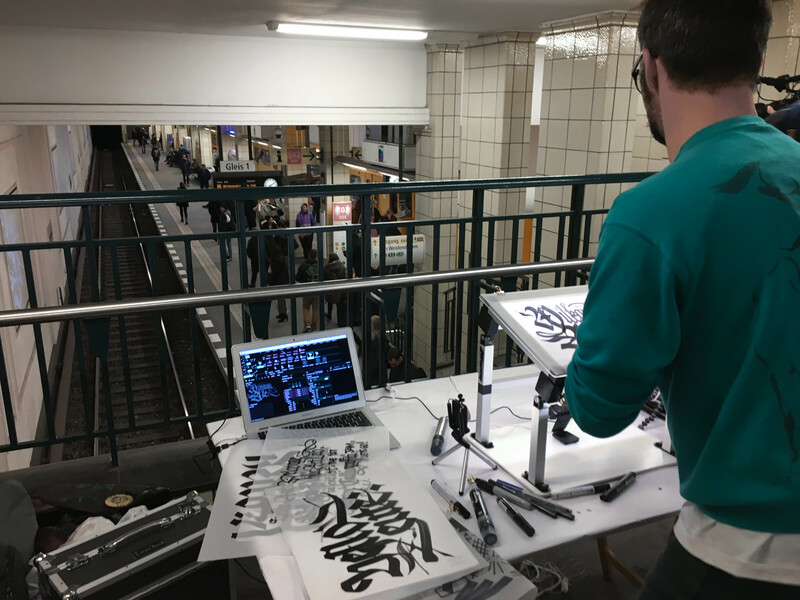 Drury has been involved in Digital Calligraffiti project since the very first activities in 2016 and he is usually the leading artists when it comes to Berlin performances. His childhood spent in the urban jungle of 1990’s Los Angeles fostered a fascination with writing, graffiti and calligraphy that continues to this day. He’s taught calligraphy workshops the past 5 years at TYPO Berlin in addition to courses at the Muthesius Kunsthochschule in Kiel and the Kunstschule Alsterdamm in Hamburg, Germany. His studio is nested in the Sharehaus Refugio, an active community of refugees and creatives working together to create new dynamics in our changing society. Professionally he’s written letters on walls for such clients as Google, Mercedes-Benz, Reebok and H&M. He also maintains an intensive yoga practice and is currently working on an EP of cover songs, release date as yet unknown.